Black & White Ball from 1st to 7th of June. 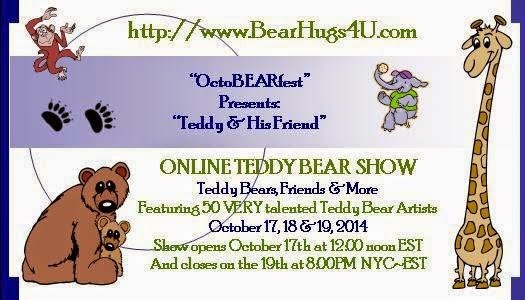 I will have 2 bears for competition & 3 bears for online shows. Because I haven't make so many bears for very long time. I have been busy with my 7 months old baby girl and she takes almost ALL of my time!! Luckily I have few ideas stored in my mind and have started sewing, otherwise I really don't know how can I hand in 5 bears at one time! I am going to sewing the bears now!